Whether you’re a marketer working in the B2B or B2C world, you know that one tremendous challenge of doing your job well is always being one step ahead of your competitors. Part of doing that is finding an opportunity to quickly engage and begin the nurturing process with your audience. Your job as a marketer is to strike while the iron is hot and not lose their attention due to failure to capture their attention right from the beginning. While many of us are already accomplishing this through marketing automation, I’m here to tell you why you should also consider adding chatbots into the mix. Customers want to interact with brands in real time and chatbots provide a great way for you to make that communication immediate and efficient. If you’re not convinced, the stats are there to show that chatbots can be a great addition to your martech stack. In fact, research shows that 53% of individuals say that being able to message a business increases their likeliness to buy from them. And according to Gartner, chatbots will likely be behind 85% of customer service interactions by 2020, so it’s a trend that is not going away any time soon. And if you’re not yet convinced that chatbots are the missing element needed to improve your marketing strategy, we’re here to tell you why they work. Here are 3 reasons why implementing a chatbot into your website or social media can help you shake things up when it comes to getting more leads and customers. One of the reasons that chatbots are a great tool is that they offer an opportunity for you to quickly begin engaging with your customers, and can even encourage them to make the first move. Don’t believe us? A recent study found that 57% of customers prefer live chat when it comes to interacting with brands, and another found that 50% of people prefer it over other forms of communication. So, adding a chatbot could enable you to reach customers that have been avoiding interacting with you via email or phone. And many marketers seem to agree that chatbots can improve engagement. Larry Kim, the CEO of Mobile Monkey, named chatbots as one of the top social trends of 2018 due to their ability to help marketers “create real-time engagement” for customers. Therefore, one of the reasons why chatbots lead to better engagement is they allow you to provide customers with immediate answers to their most pressing questions. When it comes to building and nurturing a relationship with your customer, personalization is key. While there are a variety of ways for you to do that, chatbots are a good starting point in making your customer feel as if they’re receiving individualized attention and resources tailored to their needs. This is because instead of waiting until your lead fills out a form and you enter them into an automated campaign, you’re immediately engaging them in conversation. And, in turn, your leads will trust that you’re enthusiastic to help them solve their problems. So, it’s a win-win situation for both parties! If you’re interested in learning a few more ways in which you can personalize your marketing, check out this post with 5 useful tips. There’s no way that chatbots are meant to be the only tool you use to engage your leads throughout the customer journey. However, as we stated above, one of their advantages is that they can serve as a starting point for you to begin the nurturing process. But, in order to keep moving things along, you’ll need to gather insights to provide customers with the tools and resources they need to make a purchasing decision. Therefore, you should program your chatbot to ask customers their email and other questions that can help you begin gaining a sense of who they are and what they need. 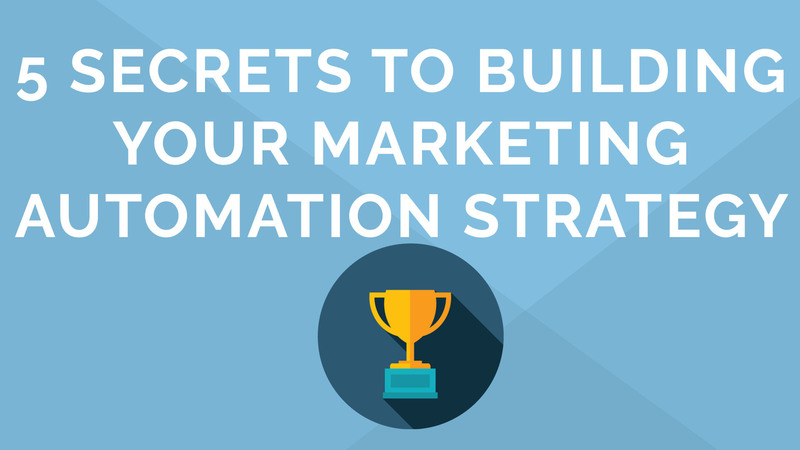 Once you’ve gathered this information, you can use it to build out the rest of your marketing automation strategy. Start by segmenting your customers into lists based on their characteristics. Then, begin building a relationship with them through automated nurture campaigns and personalized landing pages, or any other marketing automation tactic that shows you’re listening. Helen is a content marketing specialist at Act-On Software, storyteller, runner and coffee fanatic. When she doesn't have her head stuck in a book, you can find her exploring Portland with her pup Mocha.